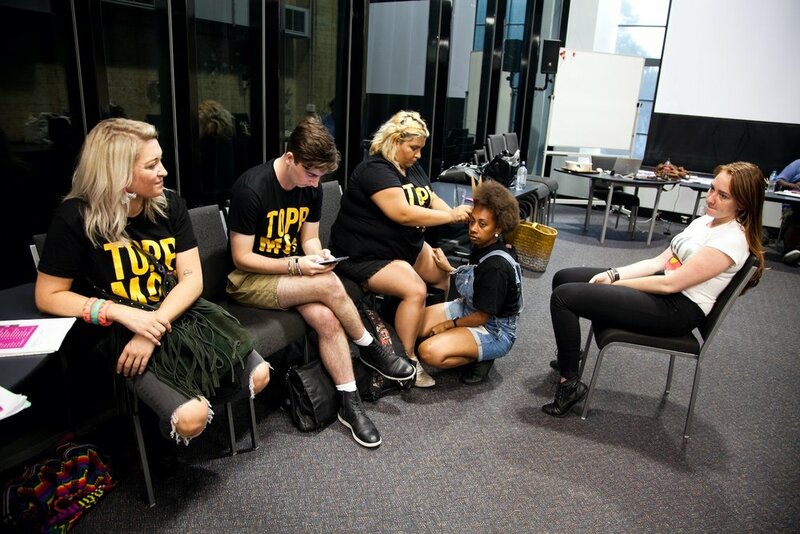 ‘TOPP Mob’ are a collective of Aboriginal and Torres Strait Islander young people from Digi Youth Arts who performed as hosts for The Original People’s Party (TOPP) for BlakDance at APAM 2018; this included an original percussion piece as a ‘Call to TOPP’. 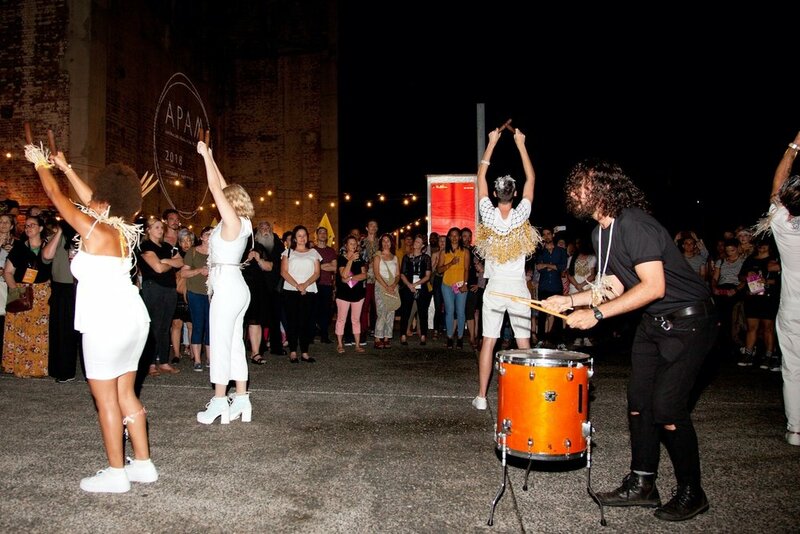 The collective is also fulfilled volunteer roles throughout APAM. 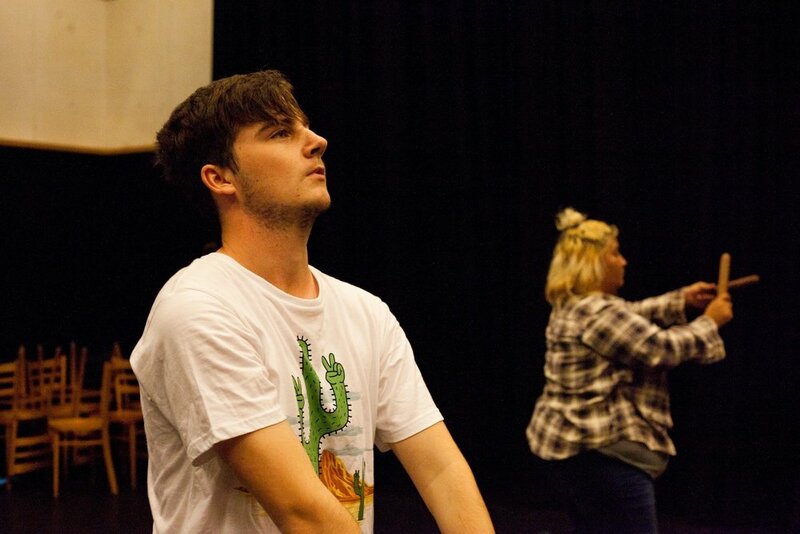 TOPP Mob were supported by the composition of Jhindu-Pedro Lawrie and costume design by Hannah Bronte under the direction of Alethea Beetson. 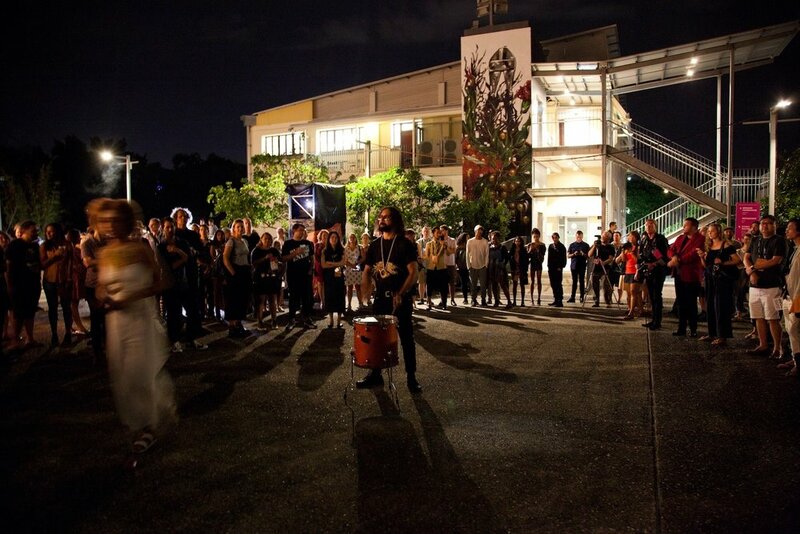 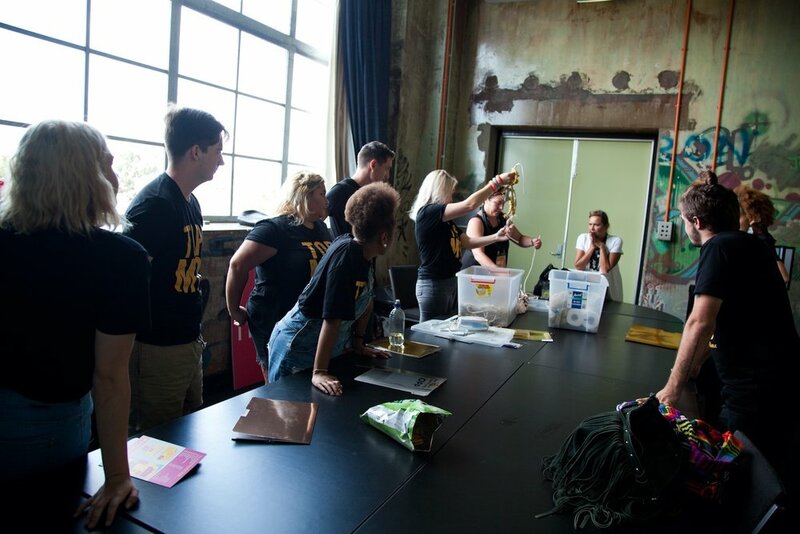 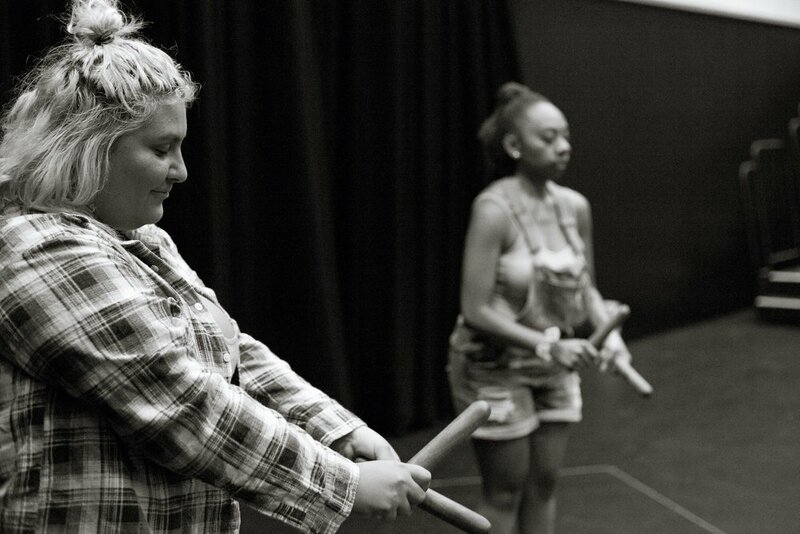 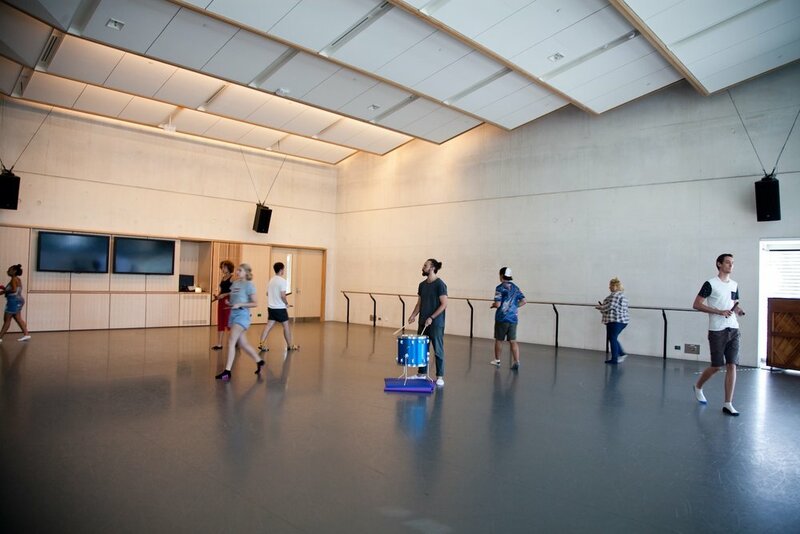 Digi Youth Arts have performed the clapstick percussion piece at the following events since their TOPP/APAM debut: IMA First Thursdays: Warraba Weatherall, Meeanjin Markets and Valley Fiesta.